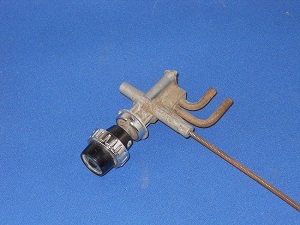 This part, listed here, is a 1953 or 1954 Chevy Windshield Wiper Control. This particular parts is not new. Rather it is a used part but honestly this used control operates better than many NOS controls that I have owned. The cable slides very easily and is complete with black push button. 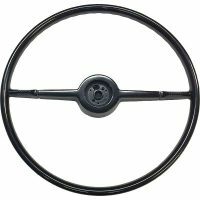 If you are unaware, the black push button and the 2 small right angle tubes are used with the vacuum operated windshield washer system when and if it is installed. That washer system was an accessory so some cars do not have it. No one is making this today so excellent used or NOS parts would be your only choice is you need a replacement. I promise you will be happy with this part.